Research has shown that thermal imaging can help assess diabetes related foot ulcers. The study, which was the first of its kind, was a collaboration between RMIT University, the University of Melbourne and Austin Health. It used thermal imaging to quantify the size and predict the healing status of recently developed ulcers. Based on their work, the RMIT researchers want to see thermal imaging, which is suitable for most clinical settings, used as an inexpensive and real-time option to identify wounds that may have delayed healing. About 415 million people globally have diabetes and up to 10 per cent develop diabetes related foot ulcers, the most common diabetes-related complication requiring hospital treatment. In Australia, diabetes related foot disease costs the health system an estimated $875 million every year. Measuring an ulcer’s area and temperature are effective in determining its treatment and duration. However, current methods can prove inaccurate, as many factors can interfere with the healing process. University of Melbourne principal research fellow and Head of Diabetes at Austin Health Elif Ekinci is the principal investigator and said thermal imaging can pinpoint more accurately which wounds will heal quickly or not. “With the ones that are unlikely to heal quickly, you can then do something else to help them heal,” Associate Professor Ekinci said. She said the wound’s healing trajectory was usually determined by comparing the surface area in weeks one and four using acetate film or a medical ruler. If the reduction rate is more than 50 per cent, it is considered to be on a healing trajectory. The study, published in the Journal of Diabetes Science and Technology, used thermal imaging to assess diabetes related foot ulcers in the first four weeks of ulceration. Researchers took thermal and colour images of 26 neuropathic diabetes related foot ulcers (11 healing/15 non-healing) from people with type 1 and type 2 diabetes. 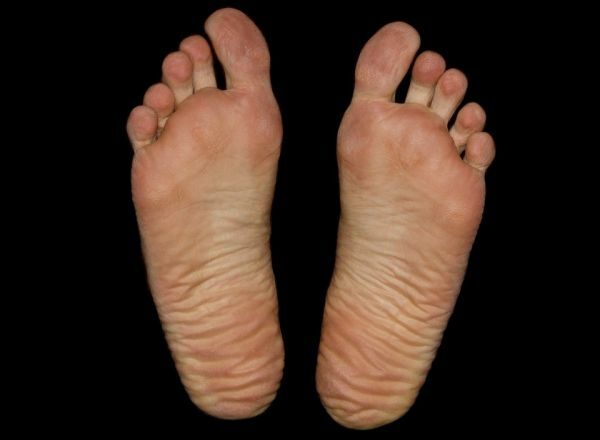 Experienced podiatrists also measured them manually over four consecutive weeks. To measure ulcer size, thermal images were segmented into areas with similar temperature. The size of the patch corresponding to the wound bed was considered the ulcer’s physical size. This was more accurate than traditional methods. The research found the wound bed’s isothermal area was lower at two weeks compared to baseline, which corresponded with a 50 per cent reduction in area of diabetic foot ulcers at four weeks. Principal researcher, RMIT’s Dr Behzad Aliahmad, said the study demonstrated for the first time that isothermal maps of thermal images of the wound bed from week one to week two were suitable for predicting the healing trajectory. “Thermal imaging of diabetic foot ulcers has the advantage of incorporating both area and temperature, allowing for early prediction of the healing. The wound monitoring by the eye of the clinician is not accurate in identifying the chronic wounds in week two,” Dr Aliahmad said.